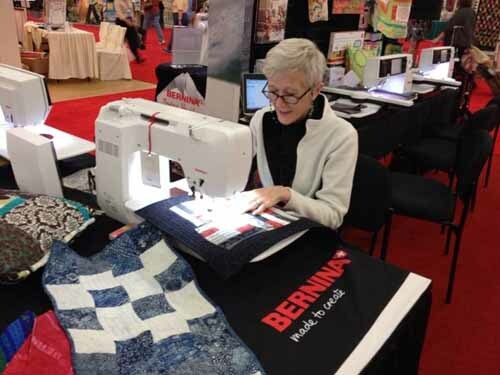 I am one of BERNINA’s most loyal fans. The 550 QE is my third BERNINA sewing machine and I seriously could not survive without this wonderful BERNINA Stitch Regulator (a.k.a. BSR). Seriously – it helps me get my artwork to a fine finish while working with bone degenerative issues. 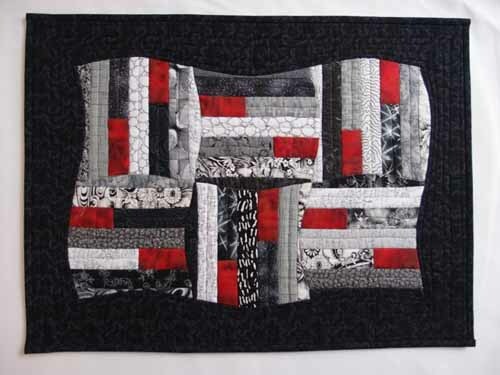 I can still quilt thanks to BERNINA! So, the rest of the story. I love the BSR because late this summer after many doctor visits, X-rays, MRIs, and nuclear imaging, I was diagnosed with degenerative bone disease, osteoarthritis, rotator cuff issues, and spinal disc collapse in my neck. I am only 60, so much of this wasn’t too big a surprise, just about 12-15 years too early in my humble opinion. If not for BERNINA and the ease of using this great machine, I would have to almost give up my passion and business and art. The good news is that my physical diagnosis is not fatal, just painful. But I am so very serious about how important this machine is to me. Designing is my passion and my life. I can’t do without it and now because of my BERNINA sewing machine and the BERNINA Stitch Regulator, I don’t have to. Next Next post: WeAllSew Celebrates Our Loyal Fans: 68,000 Likes!